Set up in the year 2000, West Coast Thermal is a Cumbrian business specialising in Thermal Insulation and Asbestos Removal services. 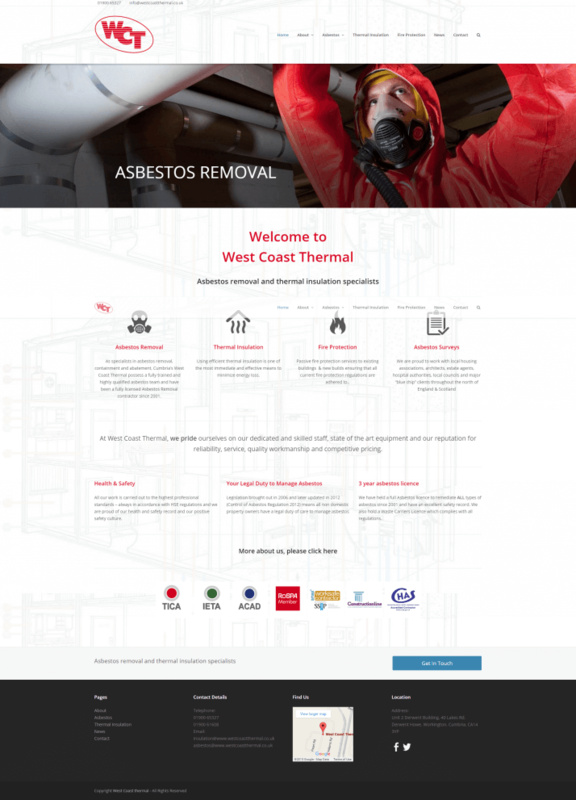 In April 2015, West Coast Thermal commissioned Mintcake Design to undertake a re design project on their website. Redesigning the website, with enhanced navigation across the site along with ensuring the site was responsive to therefore become mobile friendly.